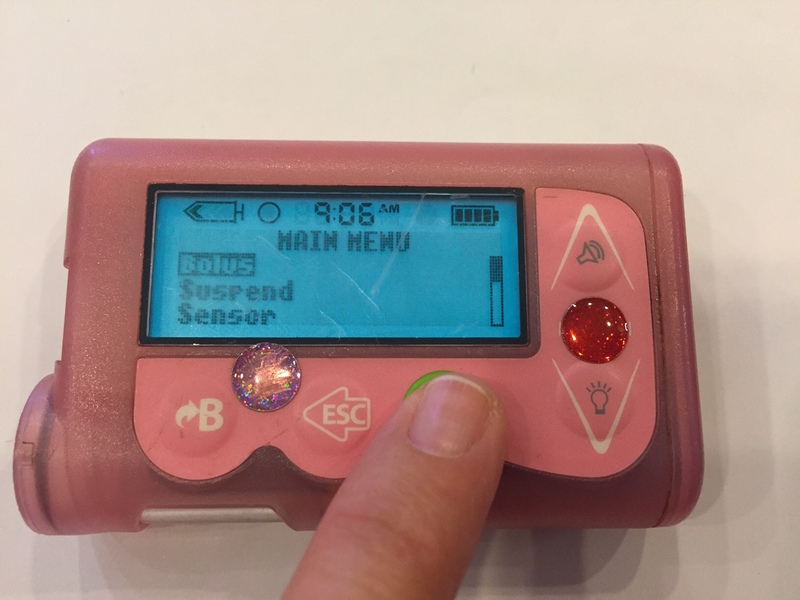 A temp basal can be used to prevent a low blood sugar if the continuous glucose monitor is showing a downward trend. Or it can be used in combination with long lasting insulin as a way to have the T1D still connected to the pump for boluses but minimal basal. After pressing ACT, scroll down to Basal. The first option will be Set/Edit Temp Basal, push ACT. The pump will ask you to SET DURATION. One can scroll up or down, and set it for as little as 30 minutes, or as much as 24 hrs. If trying to prevent an impending low, generally an hour or so is good. If long last insulin is being used, 19-24 hrs is best. Once you have the time you want, push ACT. 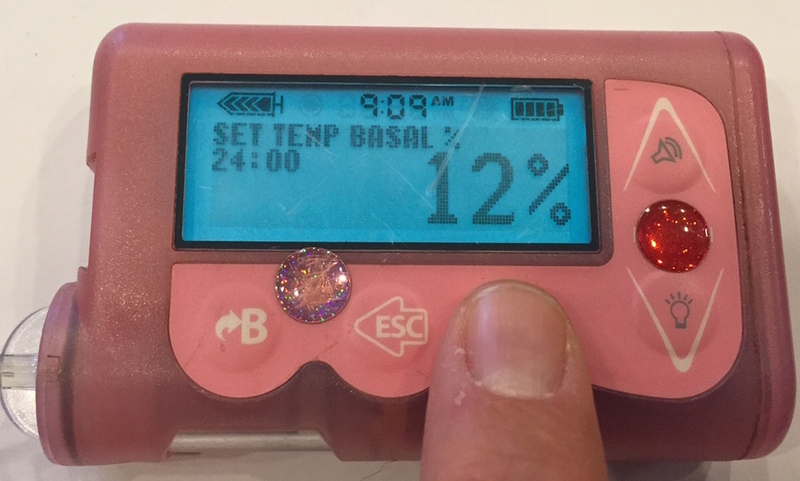 Now you can set your temp basal as a percentage of normal basal. What does this mean? If the T1D gets 1 unit per hour normally, setting a 50% basal would give them .5 unit, or half of what they normally would get. So generally, the temp basals used are less than 100%. Scroll down for less. In this instance the T1D had long lasting insulin and needed only a small percentage of basal for a long period of time. 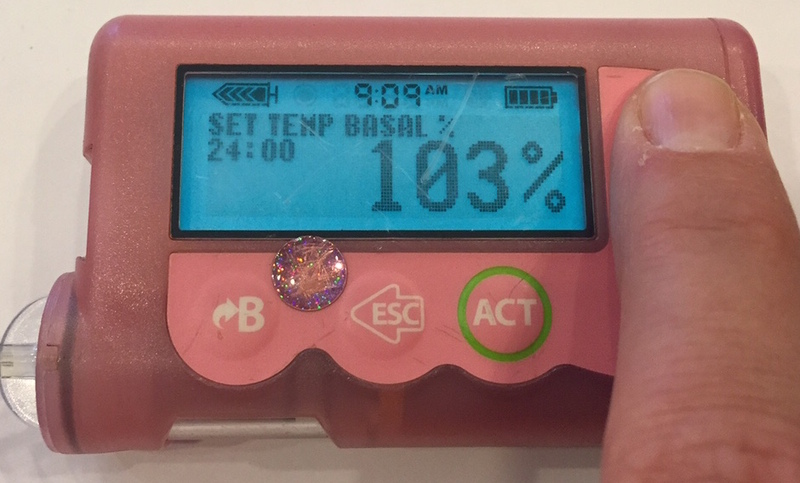 Once you push ACT, the temp basal is set, and an open circle will be between the insulin level marker and the time. See below for the open circle.